I was going to let the poll I ran last until this Wednesday, but I feel I’ve given it sufficient time. The obvious winner for my Monday slot is Mixed-Media Monday. Mixed-Media Monday is meant for me to introduce other bits of media that inspire. I want to also try to explore a bit why they inspire me as well. I’ll be all over the place with this one, from art music, to something I see while exploring. Nothing will be off limits, but I will always try to provide the context to the inspiration and elaborate as much as I’m able. But I knew there was more to this man whose creativity seems on an entirely different level. That’s what I want to focus on with Dali. Creativity is important in all crafts, and I can see where its lacking in my own work. On my vacation to Florida I had the chance to go to the Salvador Dali museum in St. Petersberg (it’s the largest collection of his works in the States.) 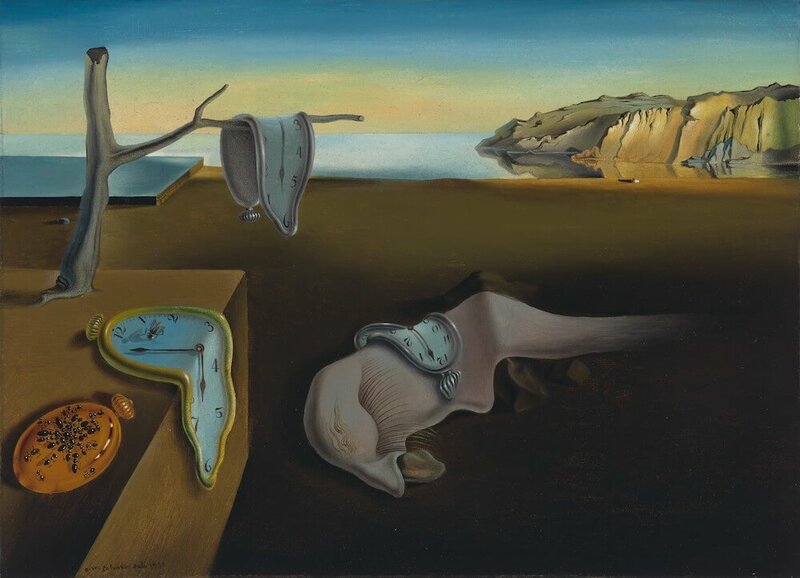 There I came face-to-face with Dali’s seeming inexhaustible creative ability. Sure, one could raise a point about the drug induced state of mind that was a part of some of these works (I’m guessing based on hearsay). 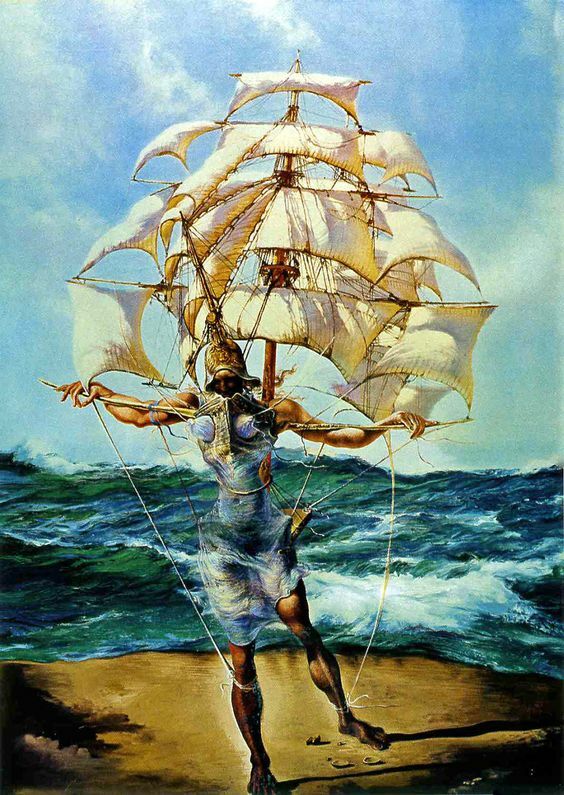 But none of that should lessen Dali’s sheer creative talent. He plays with perspective in a way that I feel is masterful (I don’t know much about art so feel free to guide me here and help me learn a thing or two). Then the worlds he imagines are breath-taking. I know that part of the landscape was inspired by where he was living at the time in Spain (I think) but everything his creativity is unyielding and unapologetic. Then I think about my own craft in comparison. Of course comparing an amateur writer to a professional painter is probably silly, but I’ll do it anyway. I’ve a small body of works and through them it’s apparent that I’m not very creative. To be fair for myself and others who write in the genre, it’s hard to write general fiction without branching into one of the genre fictions. But I feel there has to be a way. And maybe that’s the big take away here. Maybe I’m placing limits on myself for some notion I’ve had of genres and what they’re supposed to be. It would give me more freedom and ability to play around with the worlds and characters I imagine to dismiss these predetermined concepts. Through doing this though, I have to remember to stay character-centric, so that I can take creative liberties and still produce a solid work. 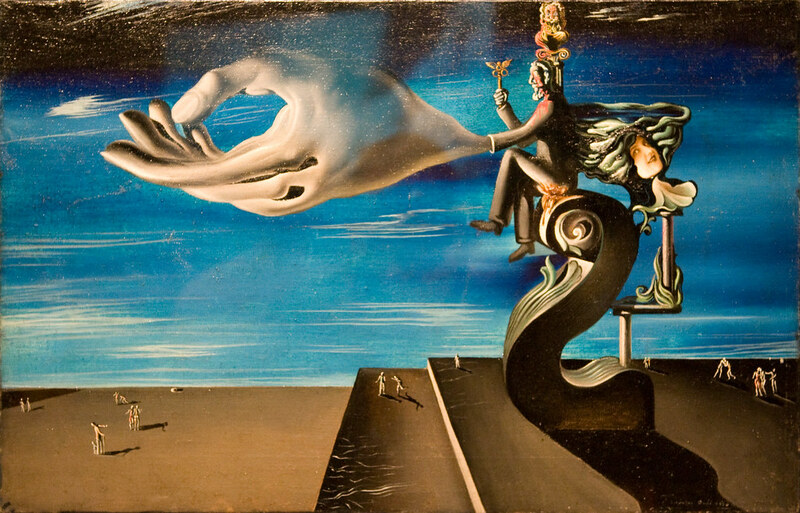 I love Dali….his museum is in St Pete, FL is certainly worthwhile . M.E. 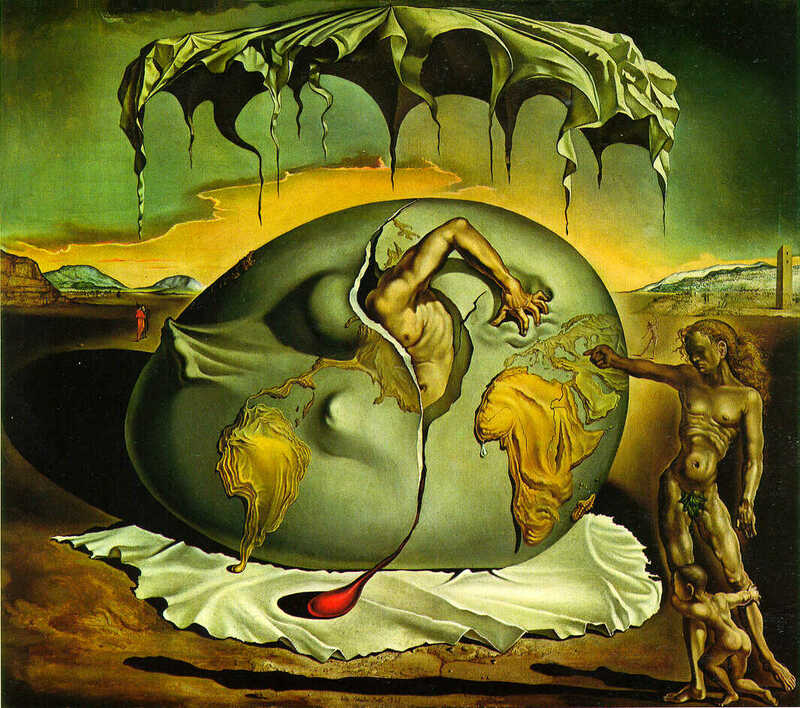 I think you got to the heart of the surrealist movement: the purposeful degradation of boundaries. Writing was actually a big part of the movement with a particular form–the so-called exquisite corpse–being practiced as a sort of warm-up at the gatherings and dinners the members IDF the movement would have. As a student of art history i was surprised to learn how organized the movement was; they had a written manifesto and regular get togethers. My favorite artist from the movement is Leonora Carrington. You should check her out, especially her writing! 😉 I too seek to overcome the internal barriers that are hindering my work. I love the top one!!!! The bottom one makes my head hurt – lol! But that, for me, is the interest of Dali.